Google sends in two contenders for Smart home supremacy. With Smart home speakers being very much the order of the day at the moment, pretty much every company wants a piece of the pie. Amazon has Alexa, Apple has (as usual) their own proprietary system for doing things, several manufacturers have adopted DTS: Play Fi as open source multiroom. 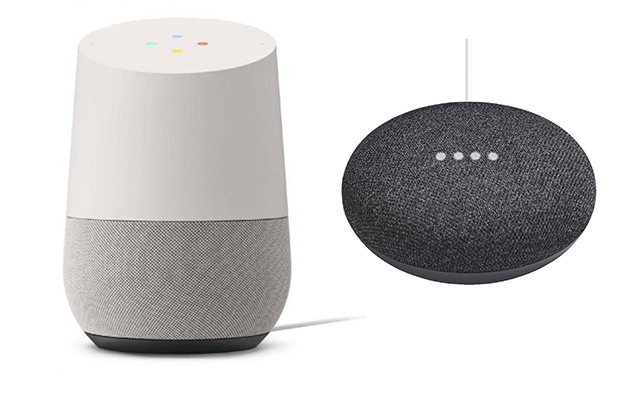 Google has entered the market with it’s own duet of entries: The Google Home and Google Home Mini. Realistically, from the above list, there’s going to be two main systems battling it out for smart home dominance. Google and Amazon – the two giants of the internet age. Both entering the ring with a set of their own smart speakers to go head to head with one another. This reviewer will be looking over the offering from Google; specifically, their Home and Home Mini. Straight out of the box, both speakers, despite being fairly lightweight are well designed. The Home is smaller than other competitors such as the Sonos One and Play: 1 and the Onkyo VCPX30, but as a Smart speaker that may need to be placed on a bedside table, it’s a lovely, unobtrusive, neutral looking speaker. 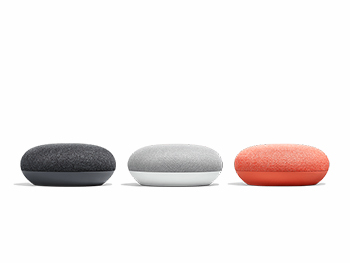 The Home Mini, with multiple colour choices, is effectively a minimalist version of Amazon’s Echo Dot. 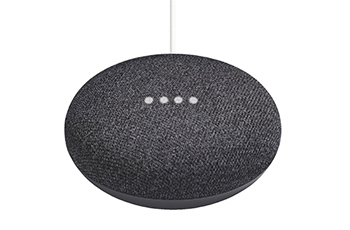 Going for a more interior design-friendly look, the fabric cover over a small ‘pebble-like’ design hides the smart speaker’s true purpose very well, making it an ideal addition to smaller rooms. 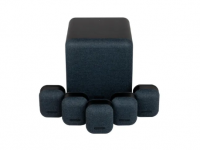 The speakers are simple and streamlined in their use as well. 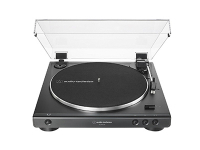 With only the one physical button to turn off the mic when it’s not needed; everything else is gesture controlled and incredibly user-friendly making it easy to use for everyone in the home – technophobia or no. Set up of the speakers is a genuine breeze. Download the Google Home app, plug the speakers in and let the app find them, and after a password entry for your own Wi-Fi, you’re away. Amazon have had a couple of years head start over Google in the smart home/speaker market, so the amount of ‘skills’ Alexa is now capable of is very impressive. However, out of the box, the Google Home is definitely smarter and for a more casual user, this may be a very attractive point. Due to its background as a search engine rather than an online shopping centre, requests are answered how they would be if you’d typed them in. This reviewer also prefers the use of “OK, Google…” as a cue for the speaker as opposed to “Alexa”, who seems to hear her voice at random intervals and as such, likes to pipe up. For the more dedicated Smart home aficionado, Google Home now supports a variety of Smart home commands and keywords you can set yourself to help you control heating, lights and (most importantly to us here at Richer Sounds) aspects of your home cinema – although it does require a little bit of teaching. 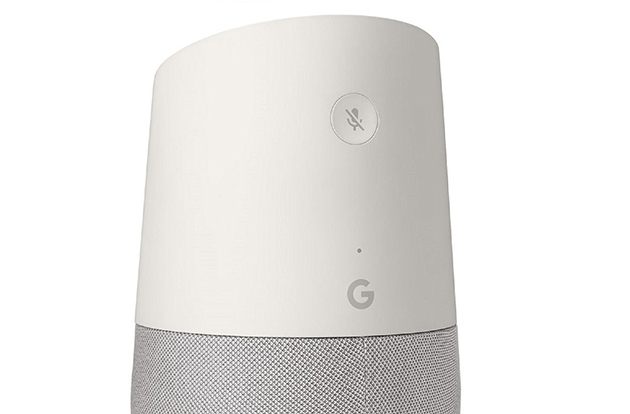 Google have also introduced the ability to link their speakers (more intended for the Home Mini due to its size) to existing Bluetooth speakers. 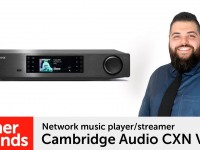 The full-size Home speaker also includes a line out jack should you want to connect to a larger/more traditional hi-fi system. S ound-wise, the Google Home is pitched against the full-size Echo and the Mini is against the Dot in this battle of Internet giants. The Google Home offers a surprisingly natural soundstage. It’s no louder than you would expect for its size but offers decent spacing on tracks and you can take advantage of the ‘boundary effect’ to a degree. Basically, if you want a small bass boost from the speaker, pop it closer to a wall or corner. Beware of high volumes however, as there was a degree of distortion on slightly ‘bigger’ tracks such as heavier rock or bass-heavy trap or RnB songs. The Home Mini is, of course, a considerably smaller speaker. Fitting more than comfortably in the palm of your hand, it still offers natural sound like its larger counterpart and with a wide arc touted as 360 degrees. 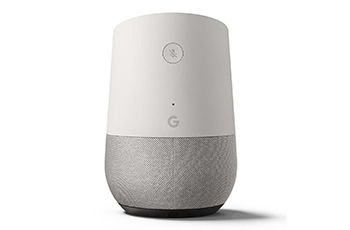 It is however, smart device first and speaker second – if volume is a must, the Google Home is a similar footprint on your surface (just a little taller) and will give you more oomph. However, Google isn’t missing any tricks when it comes to integration and how comfortably smart it is. With no need to constantly teach ‘skills’ it feels very user friendly and can have multiple users added for voice control, making it family friendly as well. As an aside, it also has fewer issues with accents – a nice touch for those who don’t necessarily have a “BBC” accent. Overall, Google have created a strong smart home speaker that’s sure to make lives easier, and a little more musical. If you want to see what these surprising little speakers can do for you, pop down to your local Richer Sounds for a demo today.